“Crust Ripples” – Investigates the geology that has shaped Western Nevada. “California’s Dead Sea” – Studies the ecology and importance of the Mono Lake. 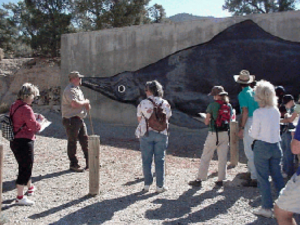 “The BIG Empty” – Focuses on the ecology of the Great Basin. “Pyramid Lake” – Focuses on the history and ecology of Pyramid Lake. “A Bad Day for Ichthyosaur” – Examines the ichthyosaurs at Berlin-Ichthyosaur State Park. “Surviving Without Water” – Examines the adaptations of plants and animals to the desert. “Nevada History” – Explores Virginia City’s past and impact on American History.